The Falcom FSA03 GPS module is an extremely cost effective GPS solution for embedded systems. Retailing for about $50 USD in small quantities, the FSA03 includes an uBlox 5 single chip GPS module integrated with a Sarantel quadrifilar helix antenna to make a tidy single board solution. Official documentation from Falcom indicates the FSA03 has an asynchronous 3.3V serial port for communications using NMEA or UBX binary protocols, a time pulse output and reset input. What the official documentation doesn't indicate is that a USB port and external interrupt pin is routed out but recorded as N.C. (not connected) on the documentation. 1 nReset Input – External Reset. Pulled high with 3.3K. 3 EXTINT0 / PIO7 External Interrupt In. 4 TM Output – Timepulse (1PPS). 5 VBatt VBatt Backup Supply (1.4V – 4.8 VDC). 9 USB_DM USB Data Negative. 10 USB_DP USB Data Positive. 12 TX Transmit – Serial Port 1. 13 RX Receive – Serial Port 1. Pulled high with 330K. 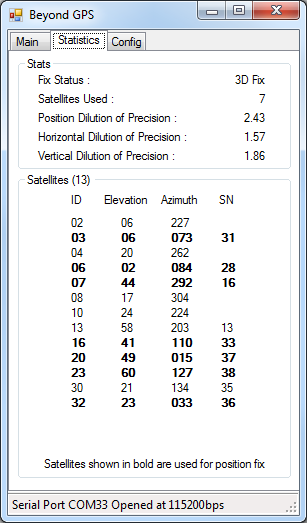 The sample software below has been designed to work with any NMEA GPS receiver, such as the FSA03/uBlox 5. Released as open source under the General Public Licence V2, it can be used as the foundations for your custom applications. 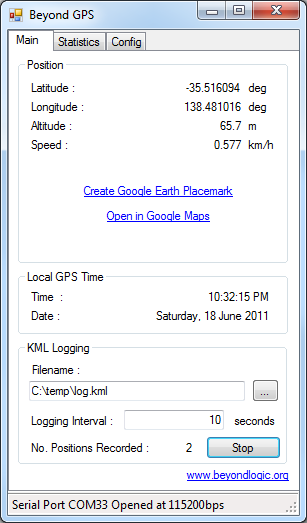 Once your GPS receiver has obtained a fix, you can display your location in Google Earth or Google Maps. 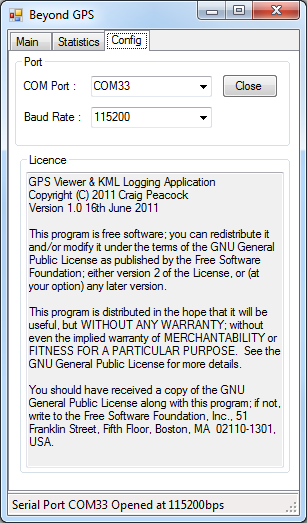 The Google Earth interface is via KML files, or Keyhole Markup Language.. 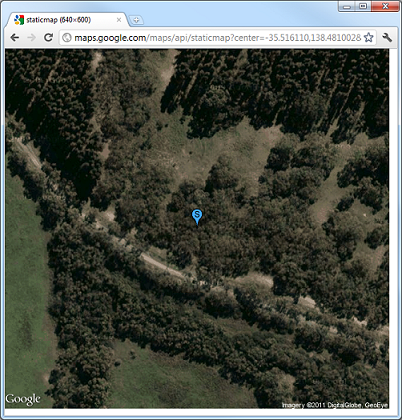 The Google Maps interface simply submits a http URL encoded with the coordinates as per this API.